The Red Hood has long been a part of the Batman mythos. However, during Snyder's Zero Year arc, the character was expanded upon, becoming The Red Hood Gang. Hundreds of people from all walks of life are recruited into the criminal enterprise. A complex plot that gives a fledgling Batman a whole bunch of trouble. The great part of this change is two-fold. First, it give a lot of weight to the Red Hood character. Before it was a random one-off disguise thrust on sometimes-Jack Napier. A quirk that was rarely touched on. Now it's a major part of Batman's beginning, something that exists beyond a trivia question about Joker's origin. Secondly, it adds more ambiguity to Joker's aforementioned origin. 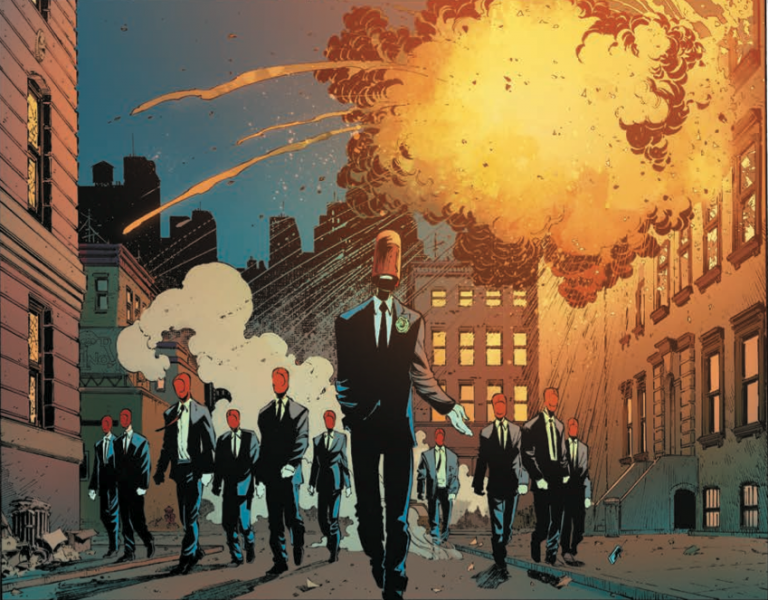 In Snyder's run, the leader of the Red Hood Gang was never a sure thing. 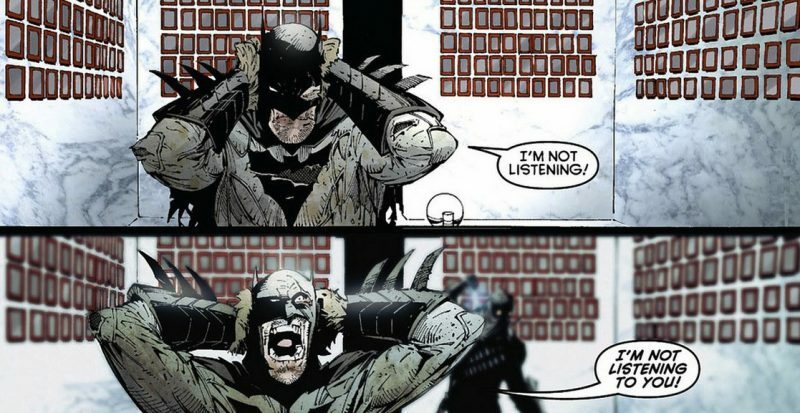 Every time Batman got close, the mystery shifted a bit. In the end, during the fight, was the Joker the leader of the gang as implied? Was just another dupe in the wrong place at the wrong time? Is Joker merely an accident or, maybe, something more? Perhaps Snyder's greatest contribution to Batman is also his most subtle. 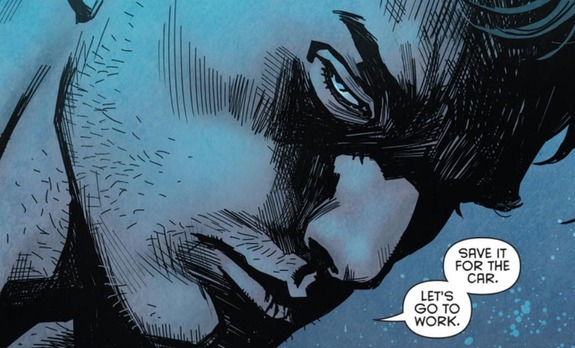 Maybe it was a side effect of The new 52, maybe it's the exact reason Synder got the job. Whatever the reason, he was fearless in tearing down aspects of the Batman mythos and/or re-shaping them into something new. Even if it was a bit of a misfire -- coughJoker cutting off his facecough -- it was still something new. What I hope, over everything else, is that the next writer takes his philosophy as well. You can't build something new within the cage of 70-year continuity without first tearing something down. I don't mean to change the essence of the character, there's no need for a weird muderery, remorseless Batman, but you can reinvent how gets there and where he goes. 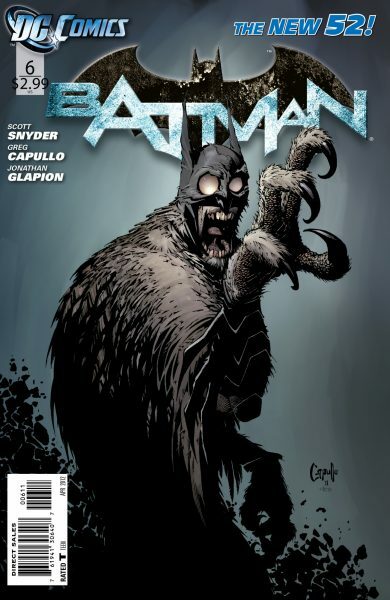 I can't think of another major contribution to the Batman mythos like the Court of Owls or Zero Year or The Red Hood gang in the last ten years. It's because Snyder wasn't trying to just play within the Batman universe, he was making his own. 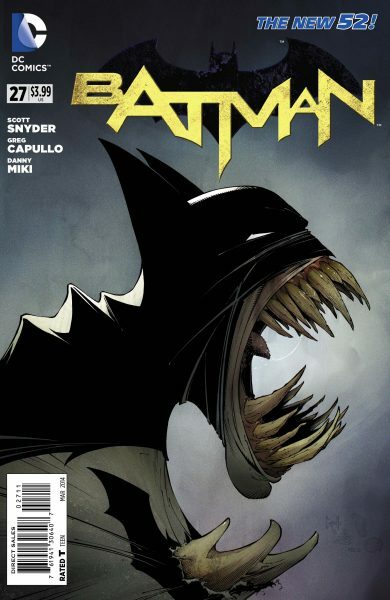 [caption id="attachment_82682" align="aligncenter" width="376"] And yet still, Spooky Covers remain #1[/caption] Those are, in my opinion, the high points of Snyder's contributions. What did you like best? What exemplifies his run, what will people remember? Let me know in the comments below.